Controversial tennis star Bernard Tomic has hit the headlines once again. This time it’s because of his constant winking during a 60 Minutes interview which aired last night. Double Bay Today can reveal exclusively the winking was actually a publicity stunt. 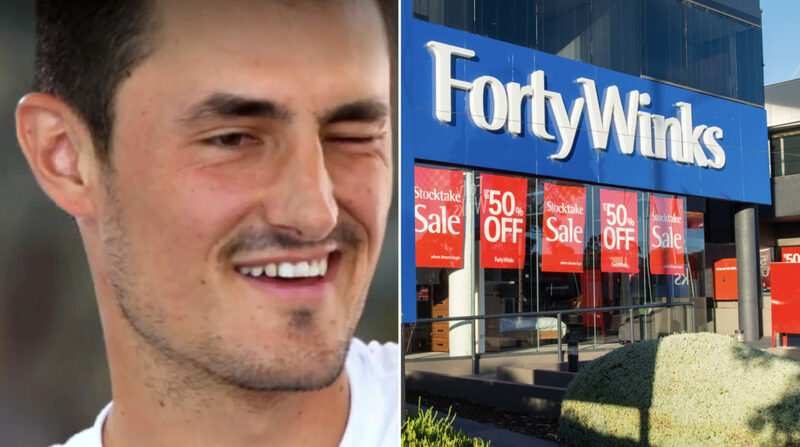 DBT’s investigations unit analysed last night’s interview and can confirm Tomic winked exactly 40 times during the interview. It’s understood Tomic has signed a 2-year deal with the retailer.